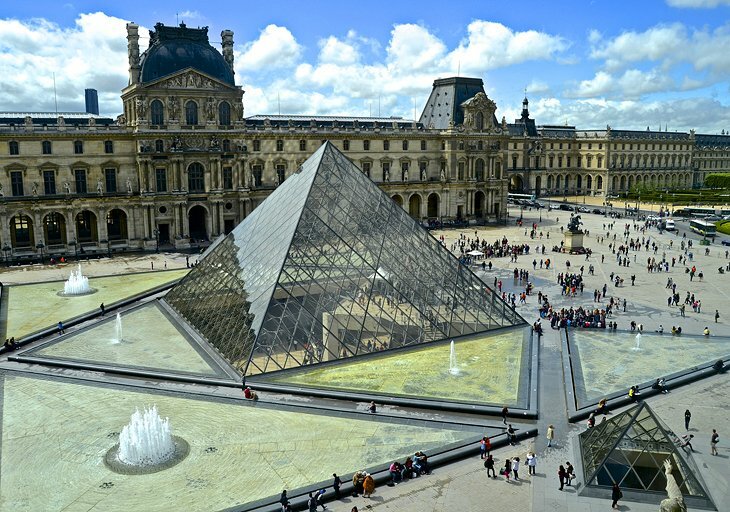 The establishment of this museum was approved by the French Parliament on 9 October 2007. The architect for the building will be Jean Nouvel and the engineers are Buro Happold. Jean Nouvel also designed the Institut du Monde Arabe in Paris. The museum will be part of a US$27 billion tourist and cultural development for Saadiyat Island, a complex which is planned to include three other museums, including a Guggenheim Museum and the Zayed National Museum. According to the government sponsored website UAE Interact: "The French Museums Agency will operate in collaboration with the Tourism Development and Investment Company (TDIC), which is behind the transformation of Saadiyat Island. It will be chaired by French financier and member of the country's Académie des Beaux-Arts, Marc Ladreit de Lacharrière, publisher of the periodical Revue des Deux Mondes." Bruno Maquart, the former Executive Director of Centre Georges Pompidou, will take the position of Executive Director. How many remembers then 2006, we had made two attempts from 1997/8, using Window 95 OS, those in then Islington who had helped and supported our initiatives, Our then Seychelles Community in UK and the Mauritian when we launched that seyeu.com Portal that of Seynews.com of Mr Glyenm Sicobo and his associates in Seychelles and from Kent, the impact on our then Seychelles national and regional issues - President JA Michel had two years earlier taken office and we did not have a University of Seychelles instead the US Medical University. Beside countless of other world personalities who knew of our issues alive then among them Pope John Paul ll and those from Solidarity in Poland then still alive they had not been killed in the plane crash - those who had opposed we concept that portal the way we did and the person of Pope John Paul encouragement, until his death - we were not just in contact with Vatican Office in London other more complex issues related with that SIROP program, Italy then and Vatican. Many others in London who supported us, the Oxford Family, the NGO in UK, Europe and rest of the world, the UN and then WANGO debacles. In Africa, in particular South Africa the impacting issues then Nelson Mandela and those from South Africa given then Seychelles very important workings with South Africa and the OAU - Seychelles government politic decision and that of Mauritius and Reunion - had this project been launched in Europe France the much more important impact - the enlargement debacles linked and whole string of British EU politic and media developments. In Seychelles then all those alive their respective role and contribution, they are now in the land of the Rainbow and their decedents and children grand children and families. Some crazy mad monster have eaten or keep eating their heads and brains. In Seychelles the decision of the government to deploy two or three major online projects and they are still working today they had been termed as breaking new frontier in Seychelles online presence and IT development, communications. The announcements of New Hotel and Tourist Development driven by that portal project. In North Africa events and development, much more important the Region of the Gulf, their economic issues and synergy, economic driving motors and the SIROP program - those Arabs who had important relation with Seychelles, the Funding of the High Way and other Projects by Saudi Arabia /Loans. Those from the Region who had become aware that we from the Indian Ocean had a major role to play even if we did not have the cash or Oil - because we were impacting their politic and policies and economic issues with our greater European and International thematic - some of the Development Projects. In France the government of President Sarkozy, his Wife and the French media, his links to the Conservative workings in Britain and pressure he put on my person in spite of the above - he was very unfriendly towards our workings and responsibilities - the glaring legacy of President Mitterrand and our involvement and the person of President Chirac who knew of those issues and the person of Mrs Daniel Mitterrand family alive. It was we, in fact who synergized ., drove and my favorite term catapulted the decision for France and UAE to initiate this project then much public talked about French Masonic workings or Illuminati workings how the UAE views those topic and they wish to be a more dynamic and functioning part of these from their workings and economic issues. "We had been writing to the UN, the EU and the USA of the mega abuses of our issues and the global melt down that was to come in 2007/8"
In the region we now have to major Europe Cultural body, institutions and workings forget the great Universities, the Opera and now the Louvre what this mean in term of Geo politic and strategic culture and Development - Sir James Mancham research, lectures and books on this topic. Where as we were have been reserved he argued and discussed those issues in public and the world. In case those challenge our capacity that SIROP program and the Chanel Tunnel, Pas de Calais economic development, the Disney Project near Paris, Lille mega developments and the British involvements and those who migrated went on to settle in France and other Economic issues and the recent opening in the Pas de Calais of the Louvre. Whatever and however our National politic has disintegrated/degenerated into - our greater Community working in Europe and across the world our french and other European ancestral workings those who manage then and help manage them their respective impacts and functionality. We noted former EU Commissioner - SDP Leader, Mr Martin Shultz Facebook upon the 28th Anniversary of the Berlin Wall - the posting on Facebook of this event at the Grand Louvre Paris - President F Mitterrand the decision to build this Monument, that SIROP program dynamic, synergy driving and influencing major aspect of this decision - the Europe and world Illuminati and over the years the many issues and they chose to forget.